The vacation rentals company will provide lodging for sculpting teams and offer up to 30% off lodging for guests during this international competition in Breckenridge, Colo.
ResortQuest Breckenridge will welcome a unique group of artists to the picturesque peaks of the Colorado Rockies this January during the 2012 Budweiser International Snow Sculpture Championships. Sculpting Week will take place Jan. 24-28, 2012, followed by Viewing Week from Jan. 29 through Feb. 5. Each year, competitors from around the world come to Breckenridge to sculpt extraordinary works of art from massive blocks of solid-packed snow standing 12 feet tall and weighing 22 tons. The 22nd annual competition will feature 16 teams representing eight countries, each of which will create an original piece of artwork that has never been sculpted at any other event. The event is free and open to the public, and guests may visit any time during the competition, not just during Viewing Week. The snow sculptures will be located around the Riverwalk Center located at 150 West Adams Ave.
As a proud sponsor of the International Snow Sculpture Championships, ResortQuest will donate lodging to the Town of Breckenridge for the sculpting teams’ use. For guests coming to view the competition, ResortQuest is offering up to 30% off select Breckenridge vacation rental accommodations with their Winter Lodging Deal. Guests can save 15% off a two- or three-night stay, 25% off a four- or five-night stay, or 30% off a stay of six nights or more. This special offer is available on stays from Monday, Jan. 2 through Thursday, Feb. 16, 2012, but reservations must be booked by Wednesday, Feb. 1. 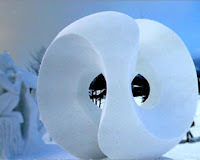 ResortQuest® by Wyndham Vacation Rentals professionally manages a variety of vacation rental properties in Breckenridge, including several within easy walking distance of the Snow Sculpture Championships venue. Guests can choose from a wide range of property types—from ski-in/ski-out lodges to private homes and picturesque historical chalets. Available amenities include fully equipped kitchens, fireplaces, private hot tubs and mountain views. The International Snow Sculpture Championships are organized by the Town of Breckenridge whose mission is to protect, maintain and enhance a sense of community, historical heritage and alpine environment. The Town of Breckenridge is a cohesive and diverse community where art, architecture, and cultural events and facilities improve the community experience for residents and visitors, offer diverse and affordable programming, and promote Breckenridge as a year-round cultural center for the region. To take advantage of ResortQuest’s Winter Lodging Deal for the International Snow Sculpture Championships, guests should call 800-661-7607 and mention “Stay Longer, Save More.” Availability is limited, and reservations must be booked directly with ResortQuest Breckenridge by Wednesday, Feb. 1, 2012. More details, including terms and conditions, are available online. Budweiser is a registered trademark of Anheuser-Busch, Incorporated.